Hello people of Orange County, CA today we will be talking about wrought iron gates. Wrought iron gates are awesome types of gates. ​ You are probably wondering What are wrought iron gates anyways?? Well, we will tell you about them wrought iron gates get their names from the material they are formed with. Wrought iron gates have a different material making, they are not made up as one would think. 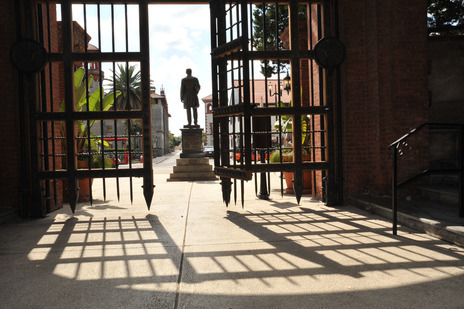 The materials within a wrought iron gate include iron ore smelting, mixture of silicon, phosphorous, aluminum oxides and sulfur. While the wrought gate is being made the iron is being replaced from the heat and hit with a hammer, so it can get the shape that it possesses. Many people say that wrought iron gates have a fibrous attribute to them and they are correct. Wrought iron gates are also very soft and ductile compared to other types of iron gates. Wrought iron gates are very malleable, so with this being said they are able to get heated and are able to be molded into many different shapes. When the wrought iron gate gets molded into different shapes it grows stronger the more it gets worked. Fun fact: the word “wrought” comes from the word “work”. This shows how even in the past wrought iron gates were very reliable types of gates to use. 1.Wrought iron gates are very resistant to fatigue. 2.Wrought iron gates will stand up against any severe weather and reasonable load. These are just a few reasons why wrought iron gates have been handpicked as some of the best iron gates around. We know once you try one of these fascinating gates that you will fall in love with the mechanics in no time. We want to educate you on how awesome wrought iron gates are. Wrought iron gates were being used back in the 2000 BC days. 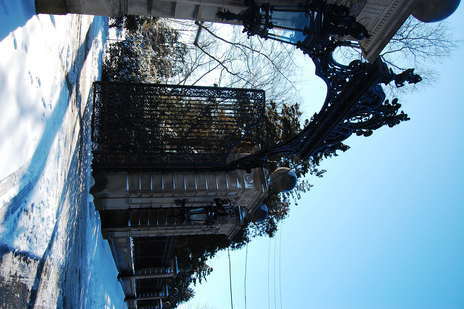 Wrought iron gates were very productive in the 1800s and were used for construction building and in the 1900s wrought iron gates were unfortunately substituted for steel. Even to this day wrought iron gates are still being used vastly for their awesome resources and their decorative usefulness. Now that we have just educated you on what wrought iron gates are and how much of a revolution they have been to the world the choice now is will you decide whether or not you want to partake in this gate. This gate is very historical as it is classy. Over here at Awesome Quality Garage Door and Gates, S-Corp we understand peoples taste for great quality and we make sure they get all their needs met. We will make sure that everyone benefits from a wrought iron gate installment in Orange County, CA. People of Orange County, California we understand the need for a wrought iron gate and this is why we address the importance of these gates so heavily. We want to make sure you get a great experience with your wrought iron gate in Orange County, CA. Now with that being said you will need to fill out the instant quote form or give us a call here (---)--- ---- and our operators will be with you shortly! Thank you for choosing Awesome Quality Garage Doors and Gates, S-Corp for all of your garage door and gate repair needs in Orange County, CA. Thank you for choosing us for all of your wrought iron gate needs as well. We look forward to fixing your garage door and gates and building a lifelong experience with you!